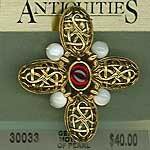 Filigree, Mother of Pearl and Garnet Brooch from discontinued stock of the Antiquities Couture Collection by 1928. These gold settings are nickel-free 24k gold electroplate. 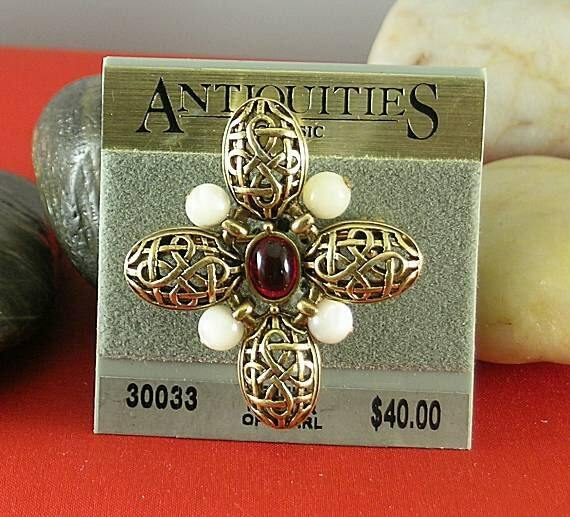 They are arranged in a unique cross design with the 8x10mm garnet in the middle and the 6mm mother of pearls between the arms of the filigree cross. 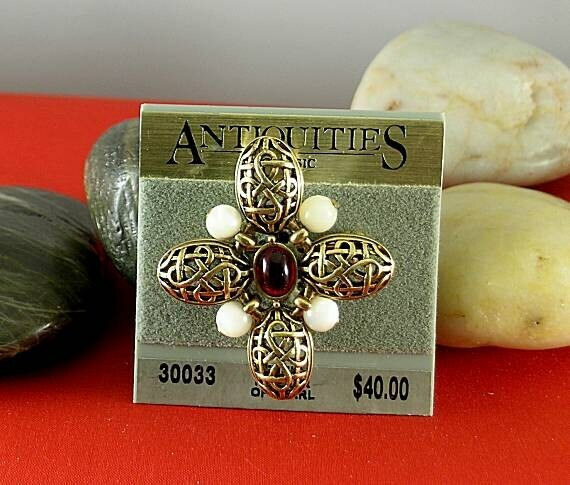 The vintage brooch measures 45mm or 1 3/4"" length and 39mm or 1 1/2" width. This listing is for the brooch only! 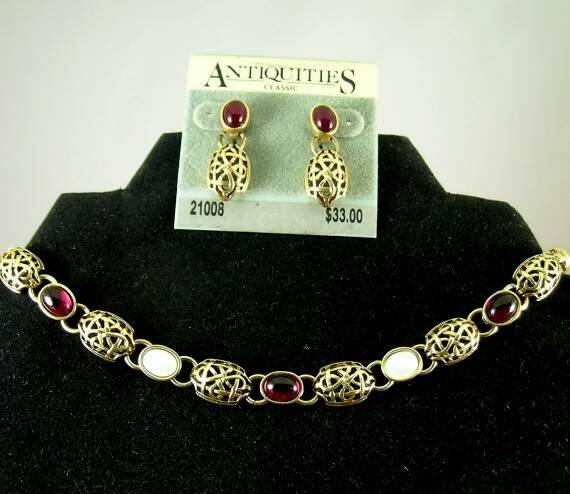 Matching Mother of Pearl Necklace, Earrings (Shown in last picture) is listed separately, as well as a matching bracelet. NOTE: These vintage items are still on the card and have never been worn. 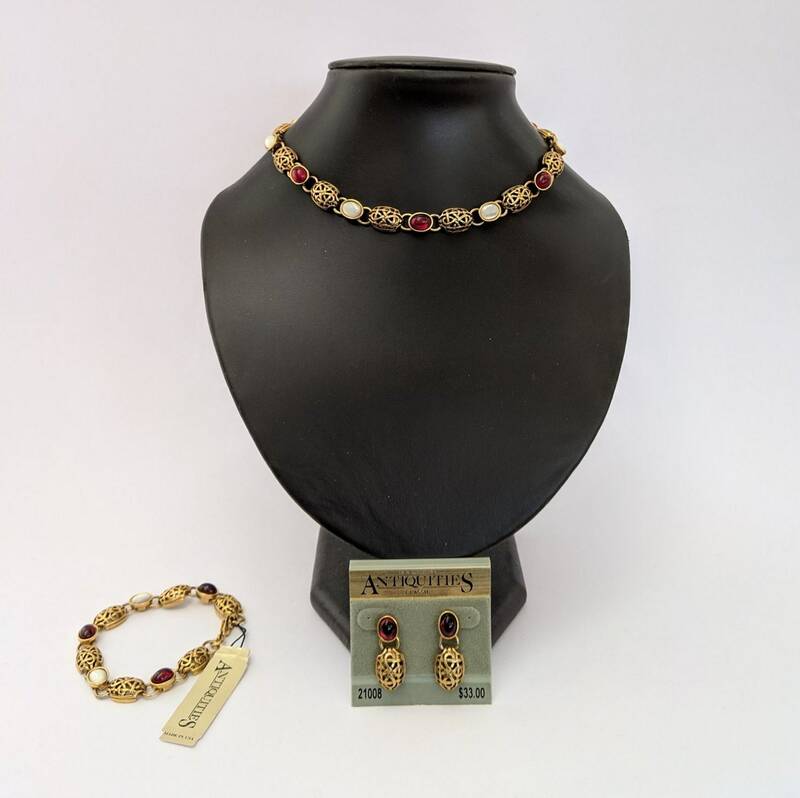 They have just been in a display box in the shop or storage for over 20 years and it is time for them to go! Many are one of a kind so don't delay in getting the ones you like because they will not last long!